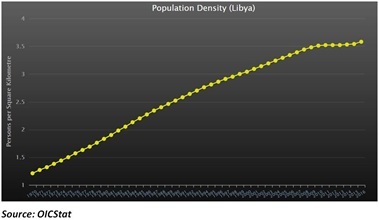 In accordance with its 2017 Annual Work Plan and within the framework of Statistical Capacity Building (StatCaB) Programme, SESRIC organised the Study Visit on ‘Population and Housing Censuses; Registers of Population, Dwellings and Buildings’ to Jordan for the benefit of the Libyan Bureau of Statistics and Census (LBSC) on 26-28 December 2017. The study visit was hosted by the Department of Statistics (DoS) of Hashemite Kingdom of Jordan with the participation of the Libyan delegation from the LBSC. As defined in the Classification of Statistical Activities (CSA Rev. 1 - October 2009; http://goo.gl/olg3Tz); Population and housing censuses; registers of population, dwellings and buildings cover methodology and organization of population and housing censuses, including register based censuses, development and maintenance of statistical registers of population, buildings and dwellings covering and following the whole resident population.